Signal, Richard Landis, 1976. Mercerized cotton double weave. H x W: 34.6 × 32.7 cm (13 5/8 × 12 7/8 in.) H x W (mat): 44.8 × 42.9 cm (17 5/8 × 16 7/8 in.) Courtesy of Richard Landis. ​American designer Richard Landis is a master colorist and weaver whose visual language is that of an abstract artist. 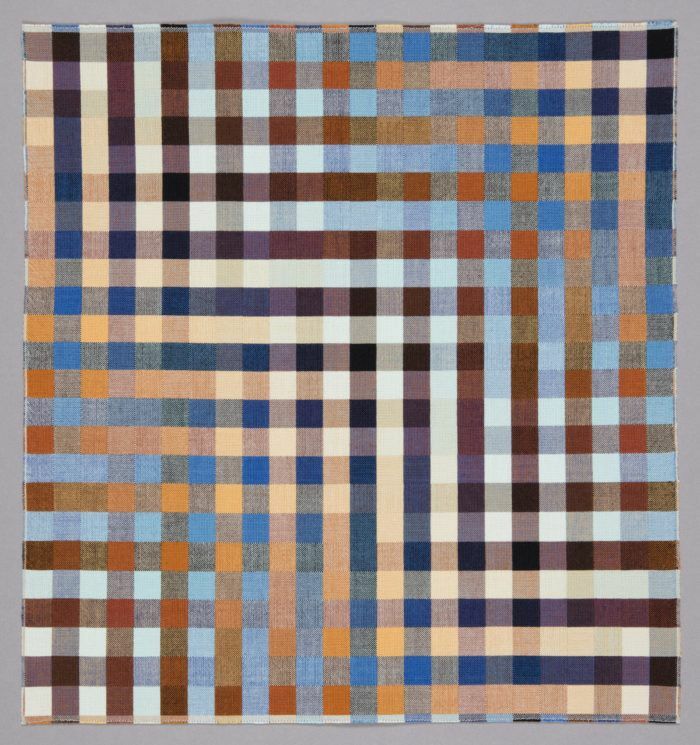 Using the interaction of threads to explore systems of closely related colors, Landis builds on the intrinsic grid of warp and weft to create patterns that offer endless variety—reiteration without repetition. 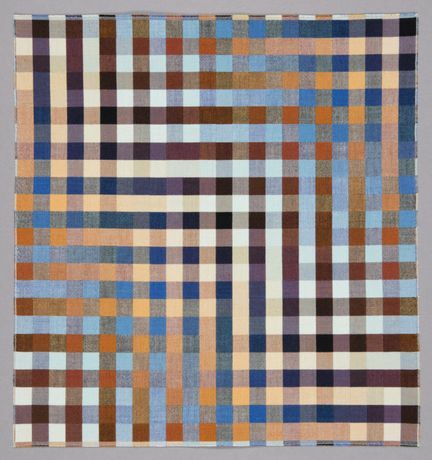 Presented in conjunction with Saturated: The Allure and Science of Color, this exhibition celebrates Cooper Hewitt’s acquisition of six of Landis’s most important weavings.